After arriving in Delhi, you get an assisted transfer to your hotel. The day is at leisure. We suggest you use the time in exploring the well-known markets or enjoying the city’s street food and its nightlife. Stay overnight. In the morning, after breakfast, embark on a city tour including Laxmi Narayan Temple, India Gate and Parliament House. 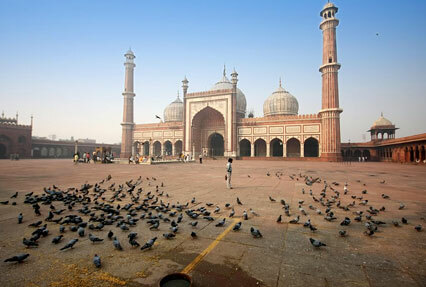 In the afternoon, after lunch, you visit the attractions in Old Delhi including Jama Masjid, Red Fort and Gandhi memorial. The evening is booked for sound and light show. Stay overnight. On the morning of the 3rd day, begin your drive towards Jaipur. On arriving, check into your pre-booked hotel. The rest of the day is free to enjoy the atmosphere of the city. You can explore the nearby surroundings on foot, can relish authentic Rajasthani dishes, can interact with the locals. Stay overnight. Today, in the morning, leave for a short trip to the Amer Fort where you enjoy an elephant ride to go up to its entrance. In the later part of the day, post lunch, you cover the remaining attractions of Jaipur like City Palace with its beautiful courtyards and gardens that are a perfect blend of Rajasthani and Mughal architecture, the Royal Observatory and Nawab Sahab Ki Haveli – popular for its Rajasthani architecture. In the evening, indulge in shopping at the local bazaar. Stay overnight. On day 5, begin driving towards Agra. 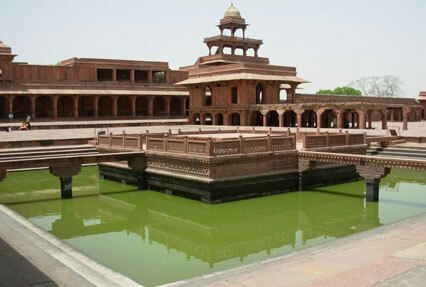 En-route, stop at Fatehpur Sikri- an old deserted town constructed by Mughal Emperor Akbar. Explore its magnificent structures including Jama Masjid, The Buland Darwaza, Palace of Jodha Bai, Birbal Bhawan and Panch Mahal. After reaching Agra, complete the check- in formalities at your hotel. Later, leave for visiting Agra Fort, also known as Red fort. This UNESCO World Heritage Site is a proof of architectural brilliance of the Mughals. The last visit is Itmad-ud-Daulah's Tomb, lovingly known as Baby Taj. Stay overnight. Enjoy an early morning visit to the Taj Mahal that looks even more beautiful in the rays of the rising sun. 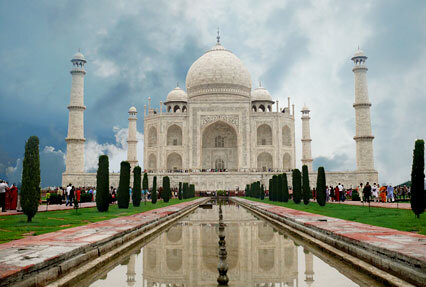 This one of Seven Wonders of the World is a white marble mausoleum. Later, get on-time transfer to the railway station to board a train to Jhansi, followed by road journey to Khajuraho. On arrival, check-in at your hotel. The rest of the day is for enjoying guided tours to the Eastern and Western group of temples. A UNESCO World Heritage Site, these temples were constructed during the reign of Chandela rulers. Stay overnight. On day 7, get transferred to the airport to board a flight to Varanasi. Upon arrival, you move to your pre-booked hotel. The rest of the day is for a trip to Sarnath. It is a village having the famous deer park where Gautama Buddha gave his first sermon and taught the Dharma. Back to Varanasi for an overnight stay. Today is for sightseeing in Varanasi. Begin your morning by enjoying an early morning boat ride along the bathing ghats. Have your breakfast and then visit the Ghats and the well-known temples of the city including Tulsi Manas Temple, Bharat Mata Temple as well as Alamgir Mosque. In the evening, you can take a stroll around the local market. Stay overnight. Post breakfast, begin driving towards Shivpatinagar. On the way, halt at Kushinagar - a small town where Gautan Buddha attained Parinirvana. Once you arrive in Shivpatinagar, check- in at your hotel. Later, visit Kapilvastu - the place where Buddha spent his childhood and youth. Enjoy a Gala Dinner with bar-be-que and cultural performance. Stay overnight. The morning of day 10 is free to relax. After lunch, you are transported to Chitwan by road. On the way, you visit Lumbini - the birthplace of Buddha which is now an important Buddhist pilgrim center. After arriving in Chitwan, complete the check-in formalities at your hotel. On the 11th day of the tour, you visit Chitwan national park for indulging in jungle activities such as nature walk and bird watching. In the first national park of Nepal, you can embark on an elephant safari. During your safari into this UNESCO World Heritage Site, you can spot wildlife species such as Mugger crocodile, Bengal tiger, One-horned Rhino, White-throated kingfisher, Male Paradise Flycatcher etc. The evening is booked for attending a traditional Tharu cultural dance performance. Stay overnight. In the morning, after breakfast, start driving towards Pokhara, an important tourist destination of Nepal. After arriving, complete the check- in formalities at your hotel. The afternoon is free to take a leisure walk around the lakeside. Admire the surrounding natural beauty. Stay overnight. 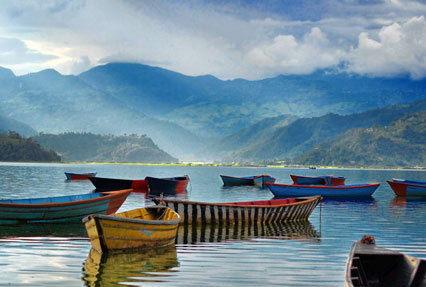 Enjoy an early morning boat ride on Phewa Lake (one hour), one of the most beautiful spots of the country. This beautiful lake is bounded by forests and snow clad peaks. Later, do not miss visiting the nearby temple situated in the middle of the lake. Later, you visit Sarangkot, a traditional Nepalese village where you can explore the surroundings on foot, interact with the locals and observe their lifestyle. Start driving back to Pokhara for an overnight stay. Today, after breakfast, you begin driving towards Kathmandu. On arrival, complete the check- in formalities at your pre-booked hotel. The afternoon is free for personal activities such as interacting with the locals, relishing the local food etc. Stay overnight. Entire day 15 is for sightseeing. The first day is for exploring Bhaktapur- an ancient Nepalese town that a World Heritage Site, known for its rich culture, temples, and artworks. Later, visit the Pashupatinath temple, an important Hindu temple dedicated to Lord Shiva, for Darshan. The last visit of the day is Boudhnath, a World Heritage Site that houses an ancient Stupa that is one of the world’s largest. Stay Overnight. On the 16th day of the tour, enjoy sightseeing in the cities of Kathmandu- the capital city of Nepal and Patan, otherwise known as Manigal, popular for its traditional art and craft. When in Kathmandu, visit the Hanuman Durbar Square, Kopan Monastery, Dakshinkali temple etc. 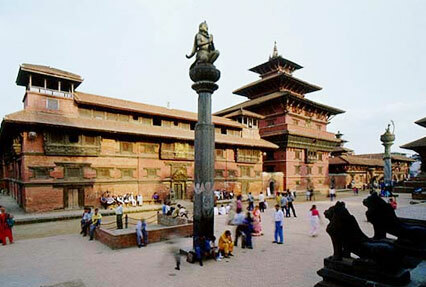 In Patan, cover attractions like Patan Durbar Square, Patan Museum, Mahabouddha temple etc. Stay overnight. Today is the last day of the tour; you get an assisted transfer to the airport to board a flight to Delhi. On arrival, freshen-up and change. Post dinner, get transferred to the international airport to board an onward flight.